You may not know it, but all of these stories were either entirely or partially written by ghostwriters. Anyone who’s ever written a book will tell you simply: it’s hard! It’s one thing to have a story or concept mulling around in your mind. It’s completely another to develop it into a structure that flows, using word choices that make sense, and crafting it into an enjoyable, compelling read. It doesn’t matter how great your grades in English classes were. There is a lot more to writing than understanding proper use of grammar. And the rules kind of go out the window anyway depending on the medium you’ll use to display your work, and the audience you’re trying to attract. Fiction, non-fiction, speeches, plays, music, business books, blogs, website copy, magazine articles – they all have different “rules” when it comes to structure. The one thing that remains constant is the voice. It’s what evokes emotion in the story or speech; it’s what creates interest in the article or blog; it’s what defines the personality of the piece and connects that directly to the author. Which, when you sit down to type up your thoughts, can be quite inundating. I mean, maybe you’re running a business, taking care of a family, going to school, or volunteering your time to a cause you love – learning the writing craft isn’t always something you have time, or desire, to do. But you do need your story told. And it can’t wait. A ghostwriter will help you develop your thoughts into a cohesive, organized presentation. It doesn’t matter if it’s fiction or non-fiction, 500 or 100,000 words! 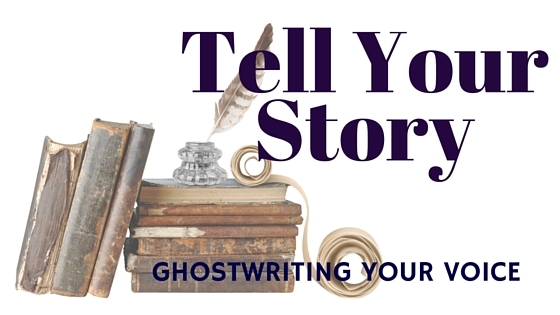 Ghosts have an uncanny ability to transform your ideas into a completed work using words you would choose and stating them in a style you would use. We kind of become you for a bit – but not in a creepy way or anything! We pay attention to your body language, your nuances, the way you articulate, the pauses you take, the humor you insert. We discover what fires you up and makes you raise your voice, and what elicits a softness in your tone. And we apply all that knowledge to writing what you would write if you were wholly writing it. Which frees you up to do the things in your day-to-day that no one can do but you. And one more thought; adding “Author” to your resume is freaking awesome!! One of my favorite parts about ghostwriting is that each project is different. We figure that all out in the beginning so we know the best way to pursue the end goals and just how exactly we’ll go about it all. And that includes deciding how reliant you are going to be on little ghosty me. I can advise, collaborate, edit, or write every single word. You decide how involved you’d like me to be. We’ll also decide how you want me to get credit for the writing – if at all. I’m cool regardless. There are ways we structure fees based on when and if you use my name on the cover or in the acknowledgements. The same goes for articles, blogs, speeches; all that jazz. My fees are also based on the project timeline, and specific type of work I’m doing, so you’ll just have to contact me to get a quote on your project. Assuming you hire me for more than editing purposes, the next step is to begin the interviews. The first session is usually a couple hours and I’ll ask all sorts of random questions to begin creating the baseline of the project. After that session I’ll put together an outline of the work and we’ll go over it together making any changes that seem necessary right up front. The next series of interviews will likely feel even more random and unorganized in nature, but trust me, there is a method to my madness. If we’re writing a book together you’ll get to see, review, and comment on chapters in chunks. If I’ve missed the mark completely on something, it would waste time for both of us if we weren’t revising along the way. If I’m editing your work, I’ll expect you to do the same; give me pages in batches, so I can proof, edit, and revise simultaneously with your writing. The whole process is very collaborative, as it must be, and new ideas pop up, characters evolve, messages change, goals change – it’s why we have to be open-minded to the creative process and flexible in making changes as warranted. So that’s how it works in a very little nutshell, but hopefully you get the idea. If you want to talk in more detail about your particular idea, it’s confidential and complimentary. Give me a call or send an email. 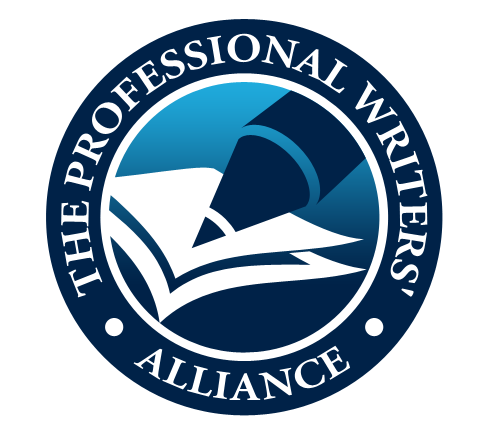 You could be a published author in a few short months!